My Bargain Basket: FREE Bumpits via Facebook -- HURRY! Go to Bumpits on Facebook and click "Like" at the top of the page. 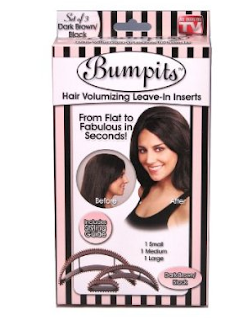 Go to "Giveaway" (if you were not directed to it) to recieve a FREE Bumpits! You will have your choice of color. I just scored a free one (10:22am). List price for a set of 3 is about $13-$14.